Jo Piazza is an award-winning journalist and bestselling author of both fiction and nonfiction. 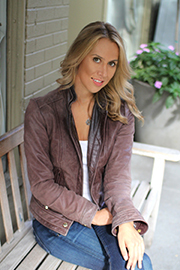 Her novel with Lucy Sykes, The Knockoff (2015), became an instant international bestseller and has been translated into more than seven languages. Her latest novel, Charlotte Walsh Likes to Win, will be published by Simon & Shuster in July 2018. Piazza received a master’s degree in journalism from Columbia University and has written for The New York Times, The Wall Street Journal, New York Magazine, Marie Claire, Elle and Salon. She currently lives in San Francisco with her husband, son, and their giant dog.